BRISK, the ensemble’s name, is intended to convey an idea of liveliness and wakefulness. A critic once described the ensemble as providing ‘a coup de grâce for the recorder’s respectable image’. BRISK’s concerts are composed of equal ingredients of variation of style and mood, virtuosity and light-heartedness. The quartet always appear on stage with an enormous assembly of recorders. Since their founding in 1986 BRISK has given countless concerts in important concert halls and festivals throughout Europe, Bolivia, Canada and the USA. BRISK has recorded for radio and television both in the Netherlands and abroad, as well as recording ten CDs that have been well received by both press and public. Its daring programming of early music in combination with contemporary music is designed to expand the borders of the ensemble’s repertoire. Many composers have dedicated works to the quartet. BRISK works regularly with fellow musicians as well as with artists from other related disciplines such as actors, directors, librettists and film-makers. BRISK made its name through its lively performances of early music, its search for unknown repertoire, and for the many arrangements that the ensemble has brought about in the style and tradition of the instrument. 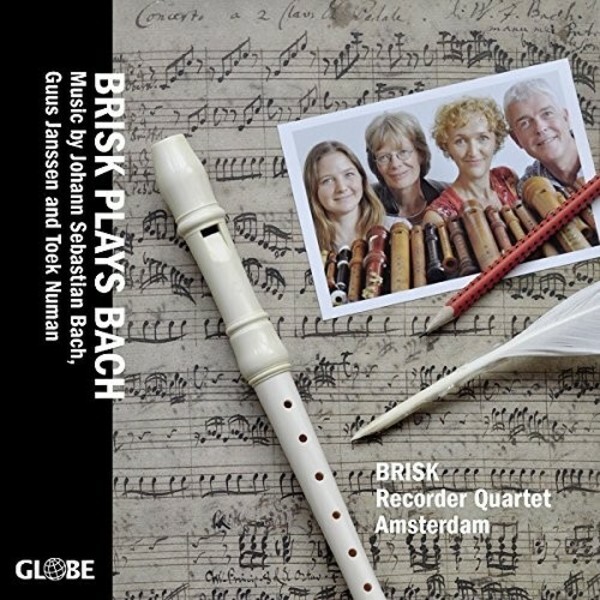 BRISK has collaborated with Michael Chance, Marcel Beekman, Johannette Zomer, Maarten Koningsberger, the Egidius Kwartet, the Gesualdo Consort, Bernard Winsemius, Leo van Doeselaar, Rainer Zipperling, Mike Fentross and Camerata Trajectina amongst others. The quartet possesses a great variety of instruments; its extensive contacts with recorder makers throughout the world ensure that its collection is in a state of continual development. This variety of instruments enables the ensemble to perform works from the Renaissance and the Baroque as well as the 20th and 21st centuries in their correct tuning and with the correct timbre.